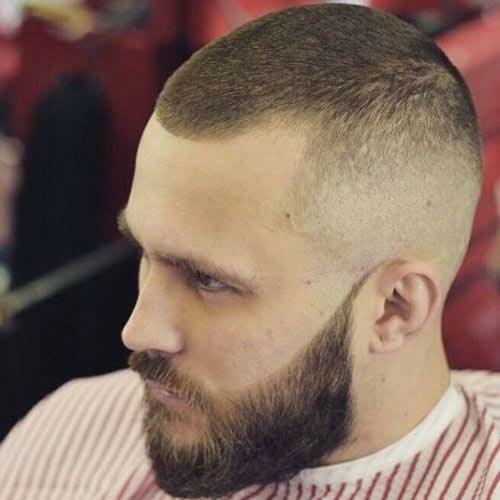 The crew cut fade is an extremely popular hairstyle for many reasons. What was once a status symbol among ivy league colleges in the 1920’s and 1930’s has become a stylish and clean look for individuals who value style and love to be noticed. The crew cut has a few different measurements depending on what type of style you are aiming for. 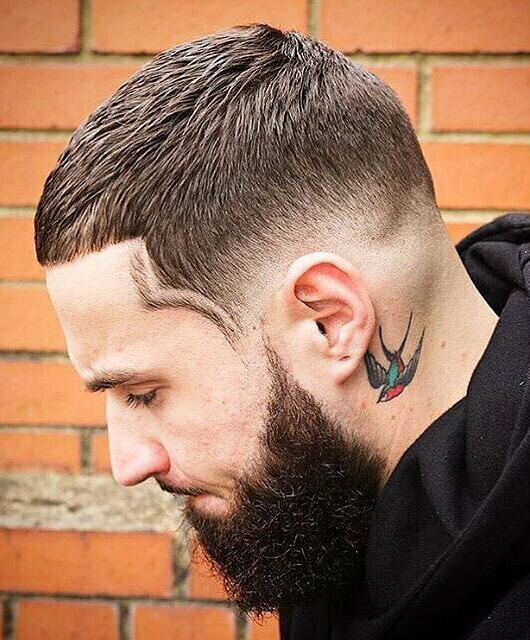 When cutting crew haircuts, some barbers may choose to forgo a guard while others will use one. The numbers will generally be the same, though. Measurements go from a 0-10. 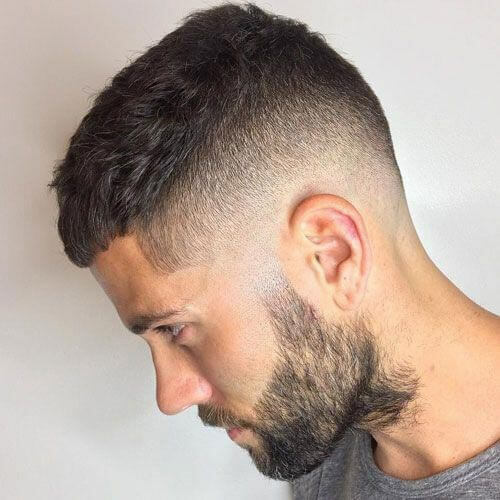 For a crew cut haircut, lower numbers will be around the nape of the neck and sides, getting longer towards the occipital bone and the top of the head. 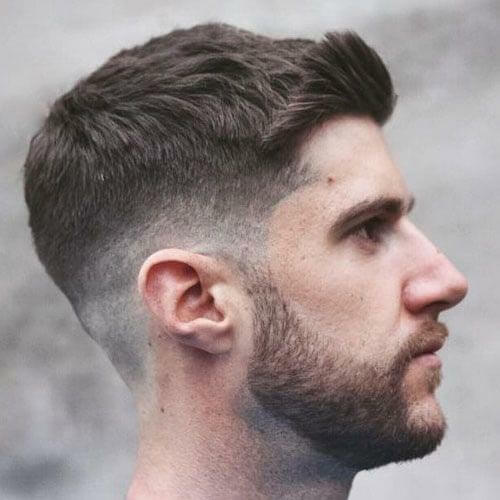 A crew cut fade is easy to style, but still, require a bit of maintenance. Ask your barber or stylist for recommendations, but many men choose to use a pomade to keep their style locked in. Whether you want a matte look or some shine to your crew cut fade, there is a pomade out there for that. This is great for men who aren’t looking to go military short but still want to keep things looking clean. 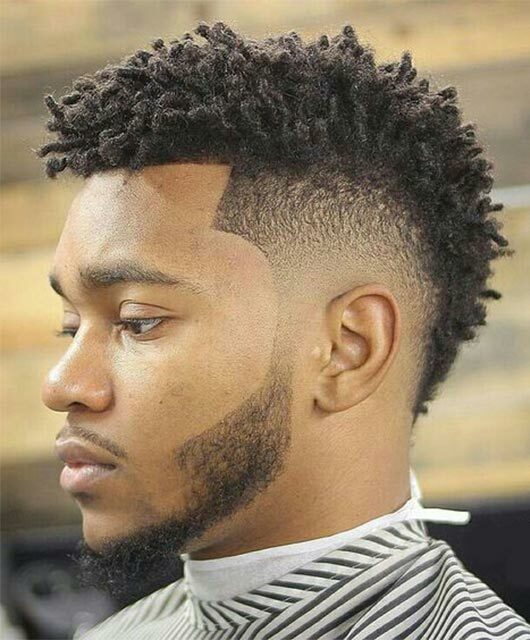 Those with straight or semi wavy hair usually find the best results with this cut, and styling with a pomade is an easy way to keep a finished look. 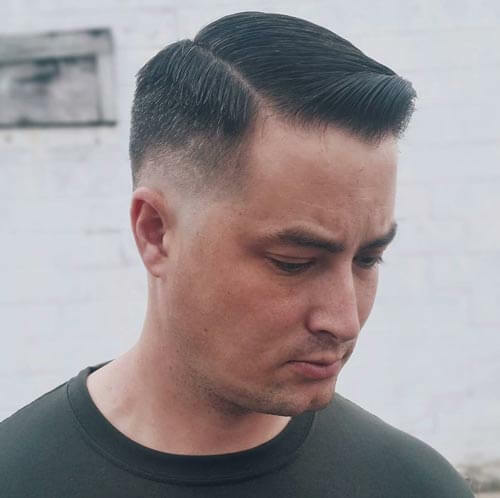 The crew cut is technically a buzz cut but is unique because of the faded sides. 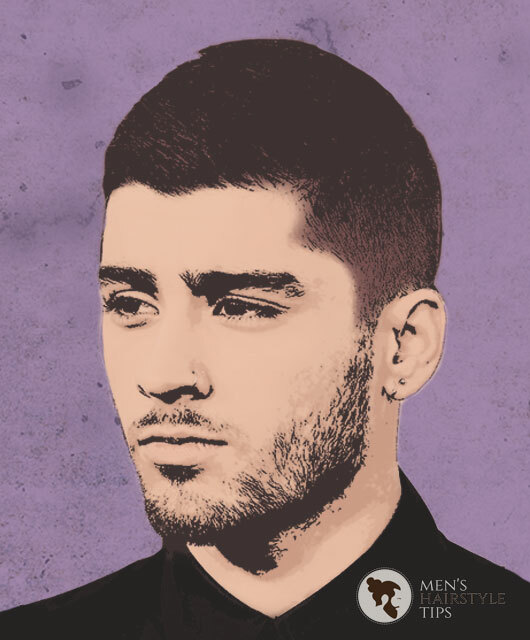 The top is an iconic buzz haircut with origins from the fifties. 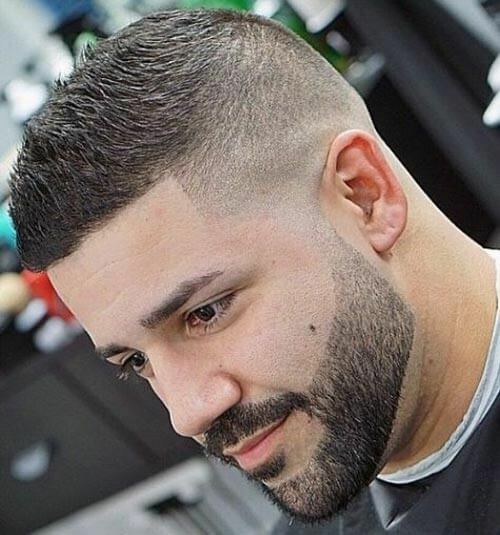 This short crew cut fade suits men with square or oval shaped faces. Cutting crew hairstyles like this also suit men with different facial shapes. For those who want the spiked crew cut with less harshness and intensity, the fluffy spiked crew cut is for you. Style it with a matte loose hold pomade for a messy yet solid style. The Caesar haircut is a classic men’s hairstyle that never goes out of fashion and features short, horizontal bangs. 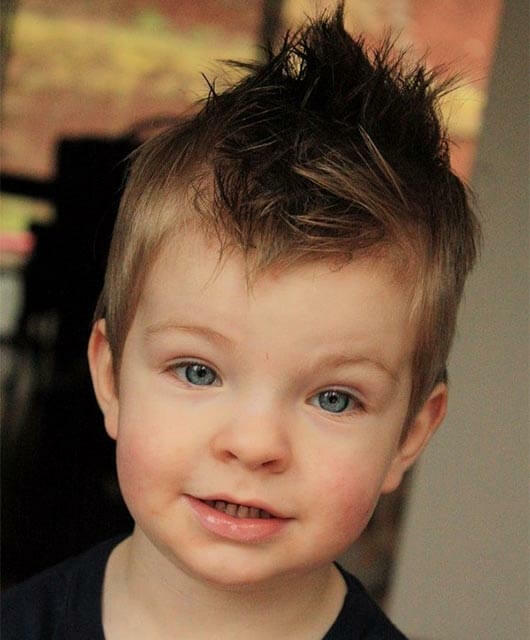 The hair on the sides is the same length as fringe and is sometimes cut shorter. The textured bangs minimize the look of a receding hairline. The side swept tousled crew gives you the ability to have effortless and impeccable style. 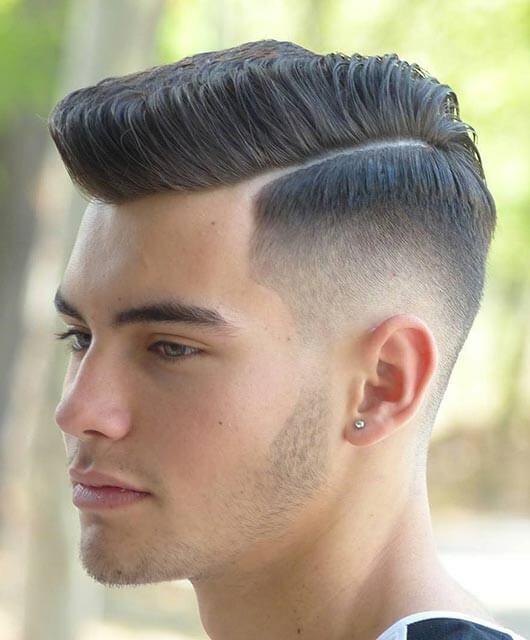 Relatively short on the sides and medium length on the top gives easy styling options as well.